These are a few decorative pieces I made for a surf shop. 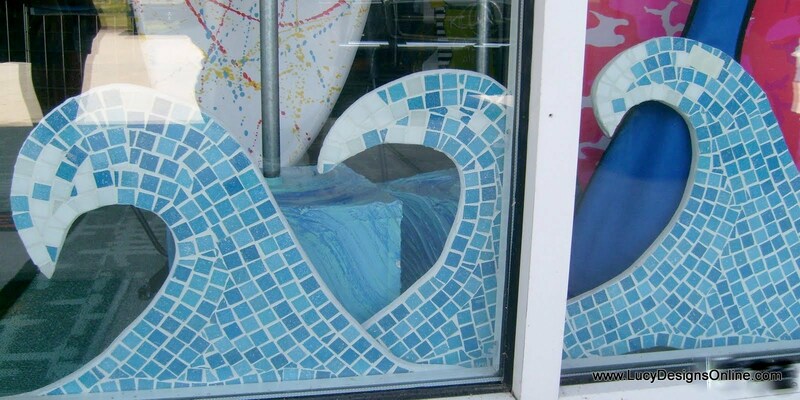 These are mosaic waves also cut from wood and I used the same tile that is on the sign. A pic of one of the dressing rooms. I built these benches to fit the back walls out of plywood.